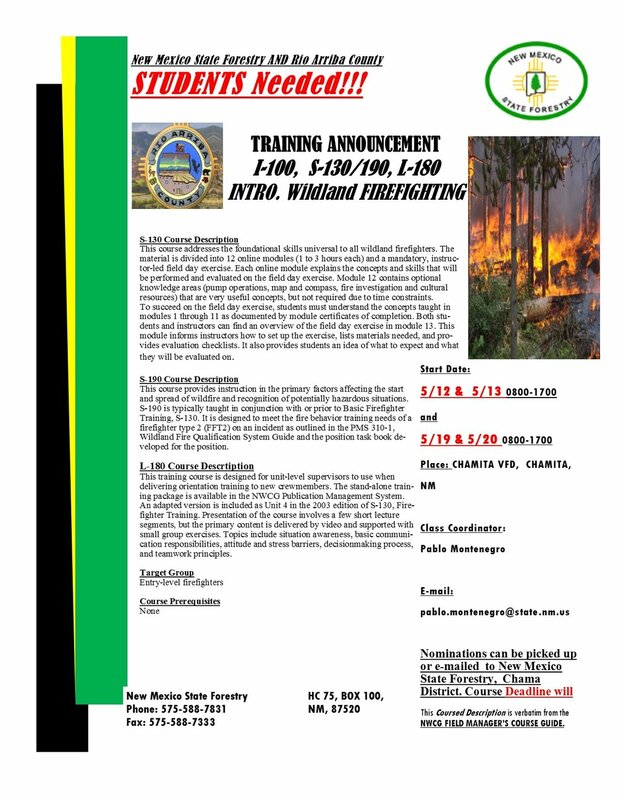 See the flyer below for another in-person opportunity to take basic wildland firefighting training. This course is sponsored by NM State Forestry and will be held in Chamita, NM May 12 & 13 and 19 & 20. Use the nomination form HERE to apply. Newer PostWelcome Caitlin Barbour - 3rd Year VISTA Volunteer!